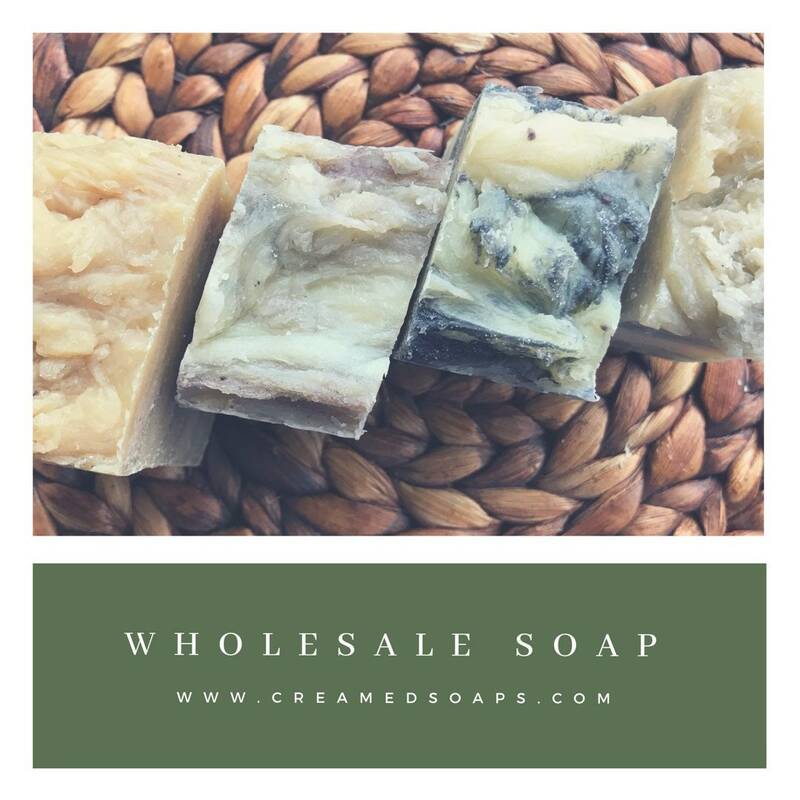 Are you interested in purchasing high quality soap & reselling it within your community? CreamedSoaps would love to work with you! We offer minimums that are affordable to anyone interested in sharing this handcrafted product; from the Stay-At-Home Mom - to the Hair Stylist - to the Boutique owner!! This listing is for (30) 5oz handcrafted bars of soap with FREE SHIPPING! What are in the bars? Organic Coconut Oil, Organic Sustainable Palm Oil, Organic Extra Virgin Olive Oil, Organic Shea Butter, Avocado Oil, Ground Herbs and Pure Essential Oils. 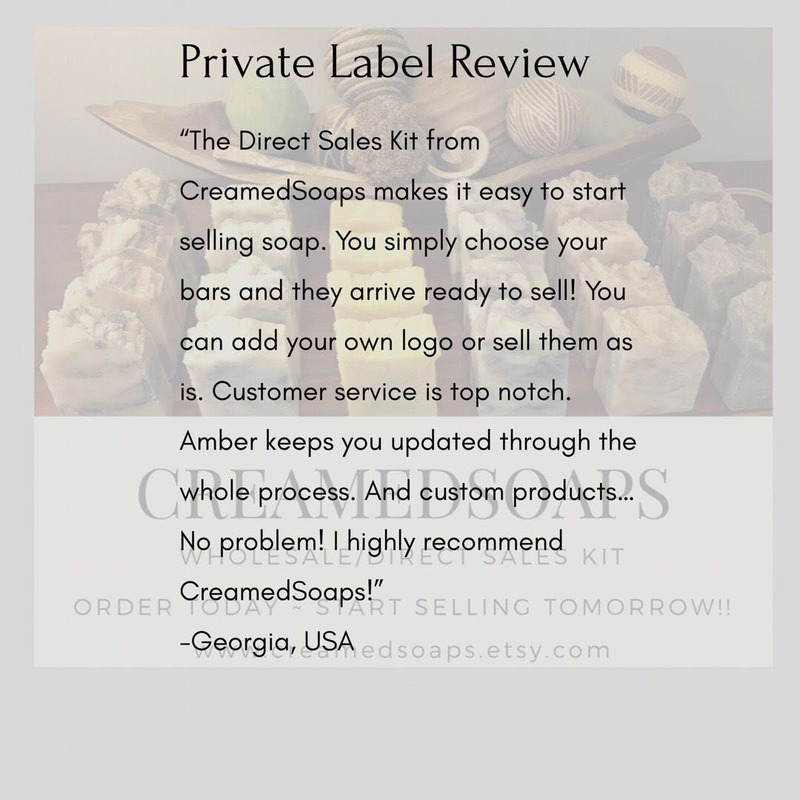 Private Label - CreamedSoaps company logo and website is removed from all packaging. Ingredient labels are attached to each bar. This option allows you to adhere your own branded logo to the front and RETAIN YOUR OWN LOCAL/ONLINE CUSTOMERS! Wholesale - Each bar comes with CreamedSoaps branded logo and website attached.